"STAN & OLLIE" RELEASED IN THE UK TODAY! Jon S. Baird’s STAN & OLLIE is out in UK cinemas today!! With Golden Globe, BIFA and BAFTA nominations under it’s belt this tale of Laurel and Hardy is not to be missed. Look of for echo’s Guy Speranza, fabulous costumes. Enjoy! 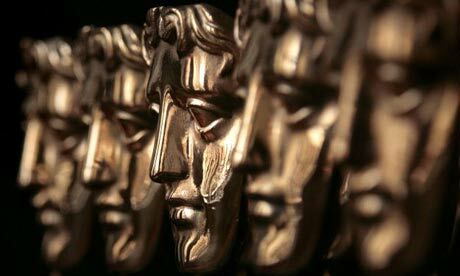 This year’s BAFTA nominations have been announced and we are very pleased to congratulate Production Designer Laura Ellis Cricks and Costume Designer Jo Thompson for their work on Michael Pearce’s BEAST which has been nominated for Outstanding British Film and Outstanding Debut; Guy Speranza for his costume design on Jon S. Baird’s STAN & OLLIE which is also nominated for Outstanding British Film; Editor Napoleon Stratogiannakis for his work of APOSTASY which has a nod for Outstanding Debut for Director Dan Kokotajlo; and last but not least Sam Sneade who was Additional Editor on THE FAVOURITE which is nominated for Best Film along with 10 other awards. Congratulations!! The award ceremony will take place in London on the 10th of February. "STAN & OLLIE" IS OUT IN THE US TODAY! Jon S. Baird’s STAN & OLLIE is out in US cinemas today! Guy Speranza, echo’s brilliant Costume Designer, was at the helm to make sure Laurel and Hardy’s (Steve Coogan and John C. Reilly) iconic outfits were perfect. The film is a biographical tale of the comedy duo when they took on a demanding tour in post-war Britain. Don’t worry if you’re not in the US, the movie will be coming to UK cinemas on 11th January. COSTUME DESIGNER GUY SPERANZA NOMINATED FOR A BIFA! Huge congratulations go to echo’s Guy Speranza for his Best Costume Design nomination at this year BIFAs for his work on STAN & OLLIE! Our congrats also go to our clients who worked on the Best Film nominees; Costume Designer Jo Thompson and Production Designer Laura Ellis Cricks for BEAST, Luke Dunkley and Andy Worboys who co-edited AMERICAN ANIMALS and THE FAVOURITE with additional editing by Sam Sneade. And finally, well done to all clients who worked on nominated films including APOSTASY cut by Napolean Stratogiannakis, THE HAPPY PRINCE cut by Nicolas Gaster, HAPPY NEW YEAR COLIN BURSTEAD with costumes by Emma Fryer and hair + make-up by Emma Scott, DEAD IN A WEEK with costume design by Natalie Humphries, CALIBRE features hair + make-up design by Bean Ellis, UNDER THE WIRE and DISOBEDIENCE both by art directed Bobbie Cousins and short film POMMEL cut by Sarah Brewerton. The awards take place on 2nd of December in London. Well done team echo! STAN AND OLLIE is the Closing Night Gala of this year’s London Film Fest! Steve Coogan and John C. Reilly star as the most iconic Hollywood comedy duo. Directed by Jon S. Baird and produced by Entertainment One and BBC, the film portrays the life long relationship of Laurel and Hardy with fabulous Costume Design by echo’s Guy Speranza. Until next year LFF - it’s been great! !